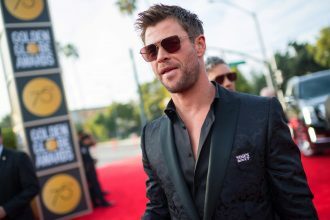 You will obviously know all about Ray-Ban sunglasses – after all, they are one of the most famous brands of sunnies out there! 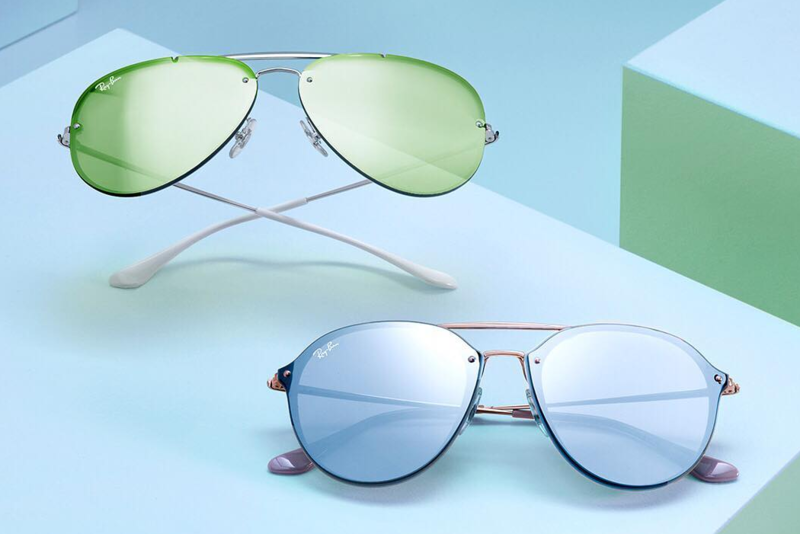 But did you know that Ray-Ban also designs and creates some gorgeous glasses too? 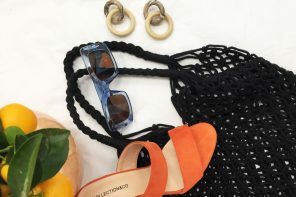 Their specs are available in a huge variety of different styles, all of which feature the same excellent quality their sunglasses have become renowned for. You can be certain that by wearing their specs you will always look right on-trend! 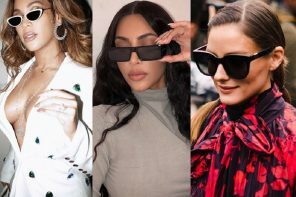 We have pulled together some of our favourite Ray-Ban specs into this article – which is your favourite? 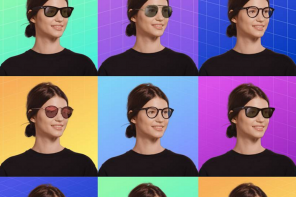 These glasses are so simple yet so on-trend. Wayfarer style glasses are incredibly easy to wear and look fabulous on just about anyone! This pair features a matte black rubber frame, which will go with just about any outfit. They would be a gorgeous accessory for your office look too. 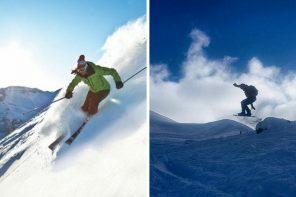 They also come in four other stunning colours, including a beautiful transparent blue colour, so be sure to take a look. Natascha below looks stunning in her pair – they really make a statement without being too overpowering. 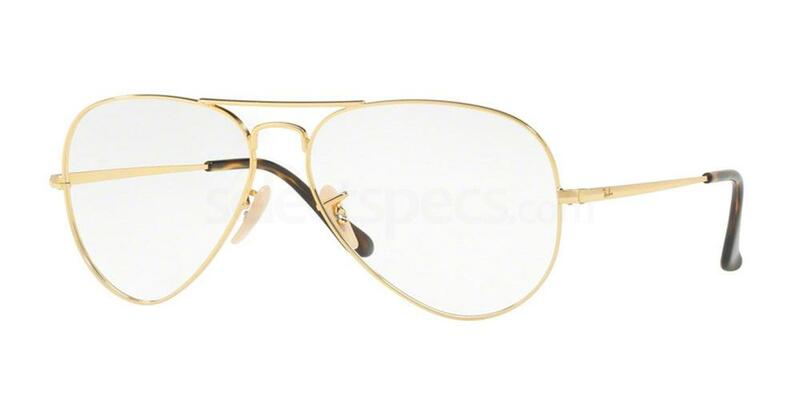 Aviator style eyewear really is a must have, and these pretty gold framed aviator glasses are just the ticket! They feature a thin gold metal frame with a double nose bridge detailing. We love the retro styling and easy to wear colour – they would be the perfect accessory to add some extra chic to your outfit. They are also available with a silver frame, so be sure to check this one out. Giti below wears this same pair and looks absolutely stunning. The specs add some extra glamour to her look without covering up her eye makeup – so pretty! Grab some horn rimmed eyewear to channel that retro vibe into your everyday outfits! 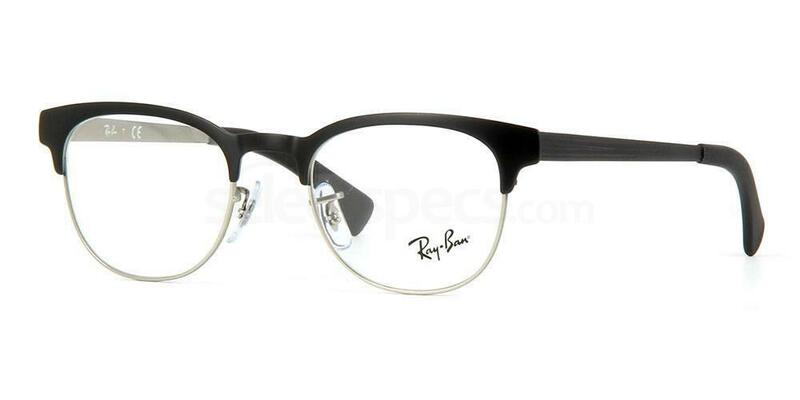 We adore this horn-rimmed pair from Ray-Ban. 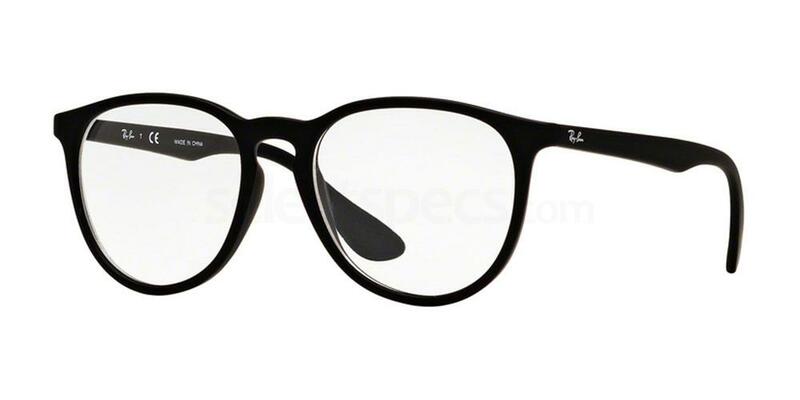 They feature a black upper frame on top of a matte silver frame, making this a great pair to wear as part of your everyday look. They are also available in four other gorgeous colours. Natascha below is wearing the matte gold framed pair, which look beautiful with her blonde hair. These round shaped frames would look particularly flattering on ladies with angular facial features, such as those with square or oblong face shapes. This is a classic style which is so in-vogue at the moment, and could easily be dressed up for a special occasion or evening out! The model below looks fabulous in her pair. 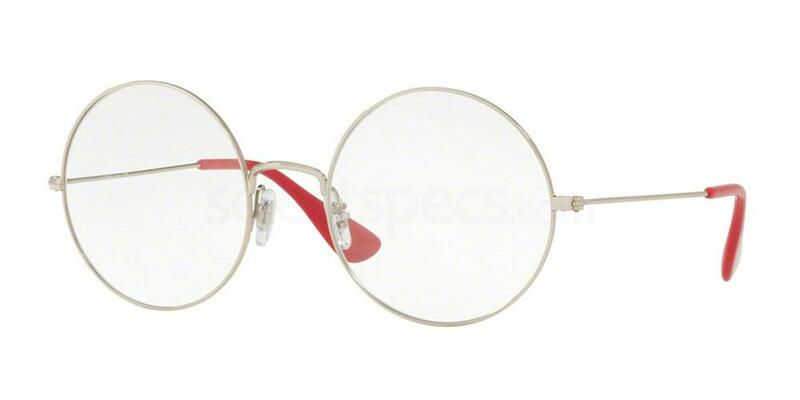 These gorgeous round glasses are the ultimate fashion statement – we love the oversized silver frames with the pop of red on the temples. They are also available in seven other pretty colours, so there is really something for everyone! Check out the Instagrammer below looking absolutely gorgeous in her pair of round Ray-Ban specs. Find out how to get the designer look for less!